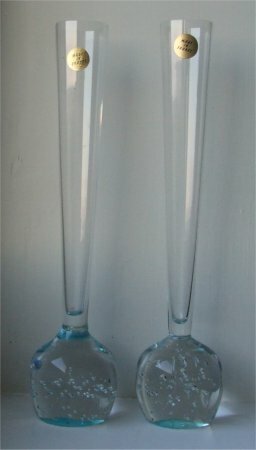 These vases are approximately 248mm (9 & 3/4 inches)tall. 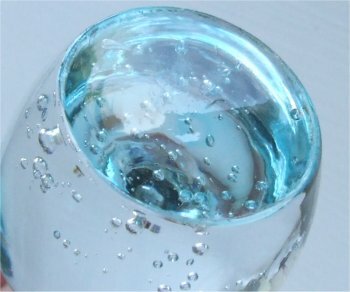 They have random bubbles of various sizes in the base. 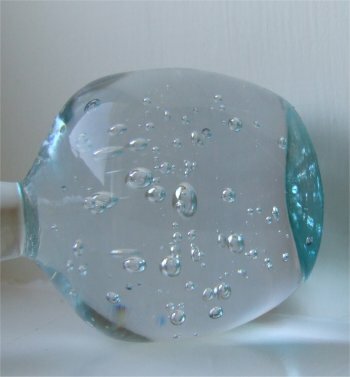 The bottom of the base is concave. The stems have a medium flare approximately 32mm (1 & 1/4 inches) across the top. 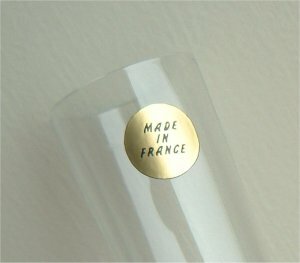 The labels are circular and a metalic gold colour with black writing stating "Made in France" (see image below). 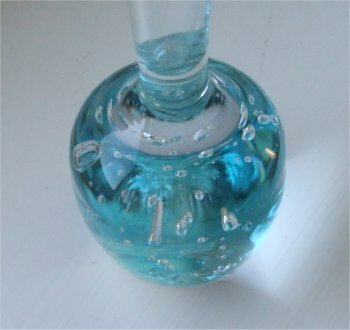 The colour of the vases are clear but the bottoms of the bases have a turquoise blue finish which at certain angles reflects up into the ball. The finish appears to be painted on as in one place it has scratched off. The condition of the vases and labels leads me to believe that they are modern, although I have no evidence of this.